Colonel Landscaping is a licensed, full-service Connecticut lawn care and maintenance firm. Today, our one-man operation has evolved into an entire team of trained and experienced landscape professionals who use the very latest products and equipment on residential and commercial properties. Our company may look different now than it did then, but one thing still hasn't changed – all these years later, Colonel Landscaping is still dedicated to providing first-rate lawn and turf strategies to clients throughout Connecticut. 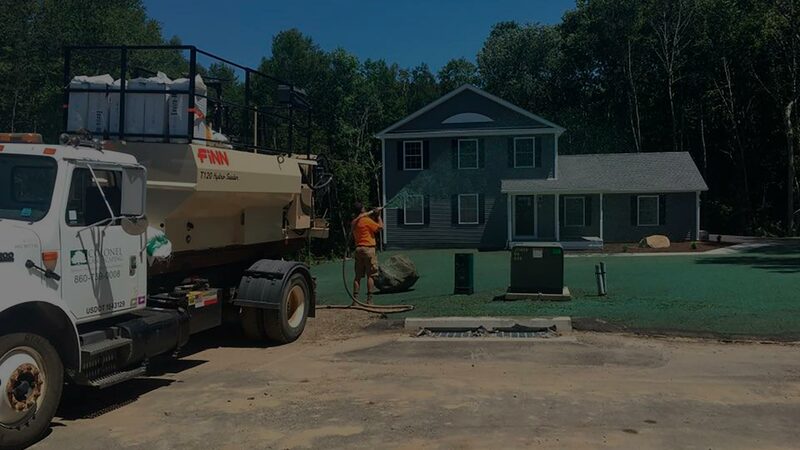 Colonel Landscaping provides end-to-end capabilities to ensure we are a one-source solution for home and business owners in Connecticut. No job is too big and no lawn is too far gone for us. Fertilization, weed control, landscapes, tree installations and even state-of-the-art paver hardscapes: Colonel Landscaping truly does it all. As a locally owned and operated organization, we have an unparalleled understanding of southern New England's unique growing conditions and (ever-changing) weather patterns. Our experience and insight play a vital role in our ability to design a successful lawn maintenance program for our clients. However, we don't stop there. Colonel Landscaping also customizes every application and treatment based on each individual property. We carefully assess awide range of critical factors, including your property's soil composition, drought tolerance, root strength, disease threat, and insect infestations. Even the current grade of your property can have an impact on its health. Once we've evaluated your yard's specific needs, Colonel Landscaping designs and implements a final solution that maximizes final results. Colonel Landscaping doesn't just raise the bar on Connecticut lawn care service; we also raise the bar on Connecticut lawn care customer service.Our skilled, trained, and talented team members collaborate with every client for personalized project attention. Colonel Landscaping's intuitive industry leaders collaborate with you to understand your specific property vision. We are readily available to answer questions, anticipate potential challenges, and offer suggestions that minimize expense and elevate the entire customer experience. Most importantly, at Colonel Landscaping, we aren't satisfied until our customers are satisfied. Should any application not meet your expectations, simply let us know. We will reapply until we achieve the top quality results that Colonel Landscaping is known for. Best of all, teaming with Colonel Landscaping means you'll never have to worry about binding contracts and uncomfortable sales pitches. You'll have access to the services you need, whenever you need them. Ready to experience the Colonel Landscaping difference for yourself? Contact our team today!